J.D. Power Awards Honda of Canada Mfg. We have more good news resulting from the 2013 J.D. Power Awards. Honda of Canada Mfg. Plant in Alliston, Ontario has been awarded the bronze plant ranking for North/South America in the 2013 J.D. Power Initial Quality Survey. Not only has the plant been recognized individually, but the Honda Civic, Canada’s best-selling vehicle for the last 15 years won for initial quality in the compact car category. Honda CR-V and Ridgeline also placed first in their categories for initial quality. This annual survey, now in its 27th year, closely measures the number of problems on 2013 vehicles reported after 90 days from purchase and ran from February to May of this year. This survey had many updates, including more consumer feedback with particular focus to newer technologies such as: lane departure warning, navigation and voice activated systems. Honda will be making changes to the Accord line-up this fall as they launch the 2014 Accord Hybrid. The all-new Canadian version will feature exclusive detailing and unique hybrid badging along with a blue-accented grille and light lenses, LED lighting and a new wheel design and decklid spoiler. 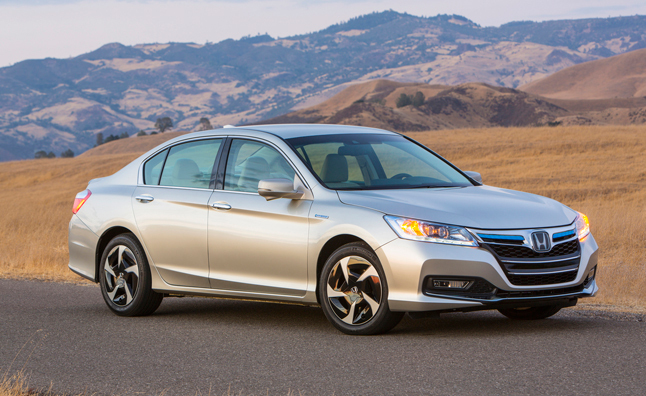 Honda Canada expects the new car to be in Canadian dealerships by this October. The Hybrid is projected to have class-leading fuel economy ratings with 45mpg on the highway and 45 mpg in the city. Honda uses a new two-motor hybrid powertrain and the two-motor SPORT HYBRID Intelligent Multi Mode Drive Powertrain. To break this down in simpler terms, the car will have 3 different driving modes: EV Drive, Hybrid Drive and Engine Drive. The inside of the Hybrid will have all the same features as the 2013 Accord including: Lane Departure and Forward Collision Warning, iMID display, HondaLink and Aha. Make sure to follow Hamilton Auto Blog for the latest updates and information on everything Honda! Exciting news! General Motors has won 8 best vehicle awards in the J.D. 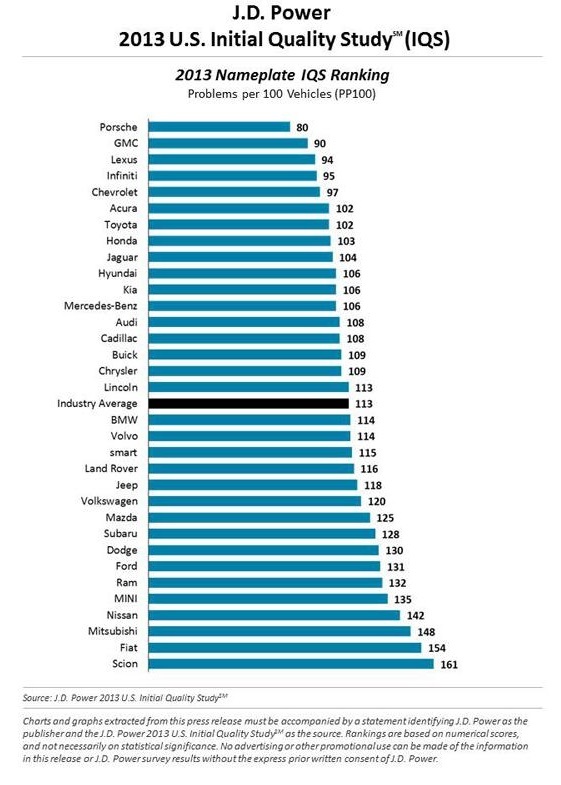 Power Initial Quality Survey, with all GM brands ranking above the industry average this year! Topping the chart at number 2 is GMC, followed by Chevrolet, who jumped 10 spots from last year to land at number 5. Cadillac tied for 13th and Buick came in at 15. What is even more exciting is that GMC and Chevrolet are the only two non-luxury brands to make the top 5. David Sargent, vice president of the global automotive practice at J.D. Power and author of the study said, “GM has the best quality of any corporation in the study, the first time it’s been on top.” To us the dealer, this is solid confirmation, based on the opinions of General Motors customers, that we are producing the highest quality vehicles out there! As Chevrolet, Buick and GMC continue to improve the quality of their 2014 models, competitors such as Ford continue to experience a slump as they struggle with the quality of their technologies. This year, they fell to 27 in the survey from the 5th spot last year. These are exciting times for General Motors and Queenston Chevrolet Buick GMC. We are proud of our product and thrilled about all the advancements in our award winning line-up. If you are interested in any of our vehicles or have any questions, please visit us at http://www.queenstonchev.com. If you love pick-up trucks like us, then you are as excited as we are about the newly redesigned 2014 Chevrolet Silverado and GMC Sierra. In fact, General Motors is so proud of these outstanding trucks, they have put together the event of the year – The Silverado Sierra Tour! The Silverado Sierra Tour gives you the unique opportunity to drive these two trucks on a closed course test drive with driving event modules, so you can put the all-new 2014 Silverado and Sierra to the test! Each session runs for a duration of 1.5 hours and is completely free to you. You will also be provided with a thank you gift and have the opportunity to win some fabulous prizes. Each person interested in participating, must register the event separately. It also requires that you be 21 years of age and possess a full valid driver’s license to participate. As can be expected, this consumer opportunity is extremely limited and will run on a first come, first serve basis. If you have any questions, please visit www.queenstonchev.com or follow us at Hamilton Auto Blog for updates.